exposed investors to a litany of risks. for difference (CFDs) on online trading platforms. 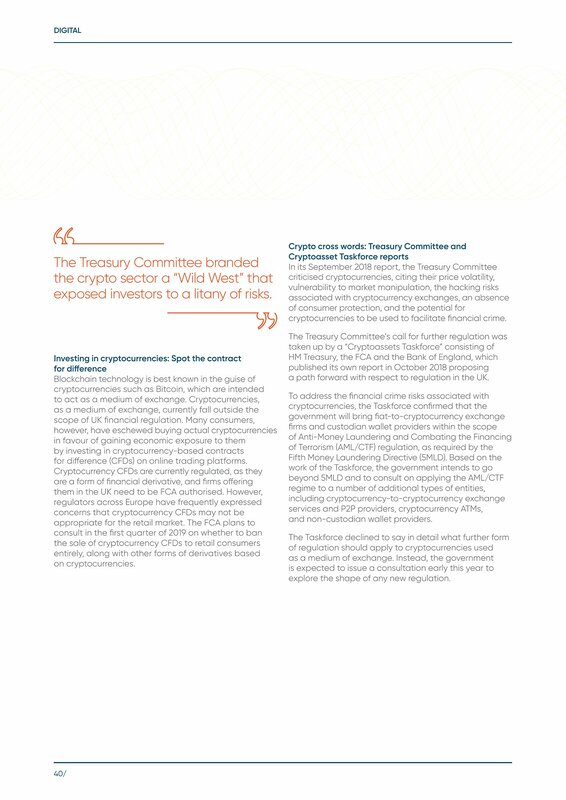 cryptocurrencies to be used to facilitate financial crime. a path forward with respect to regulation in the UK. explore the shape of any new regulation.